Our log slab fireplace mantels are IN STOCK and ready for you! For stone fireplaces or other wall coverings for your home or cabin, slabs are simple and elegant. 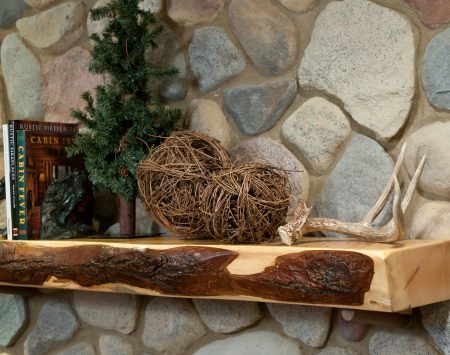 You can choose from a wide assortment of in-stock slab mantels.